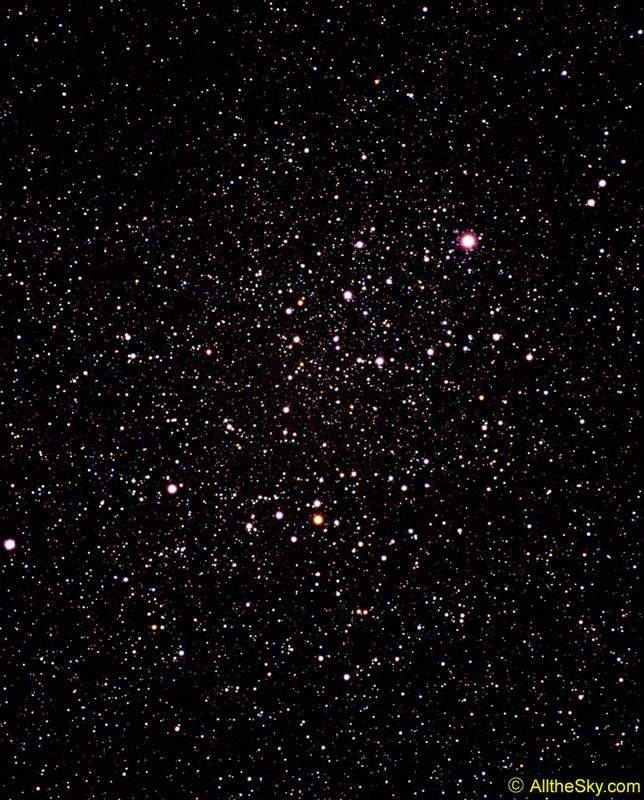 The wide spread star cluster of Alpha Persei (Melotte 20) can be seen easily by naked eye in the constellation of Perseus. It makes a splendid group in a low power binocular. The brightest star of Perseus, Algenib or Alpha Persei, is seen at upper right and gives the cluster its name. 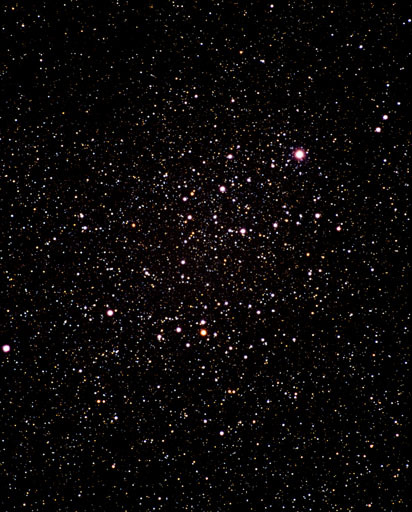 This loose type of open cluster is also called an OB-Association since the clustered stars are mainly of the young, massive, and hot spectral types O and B. These associations are quite instable and have short lifetimes before they evaporate into space.